How much is Joel Cohen Worth? Joel Cohen net worth: Joel Cohen is an American film writer who has a net worth of $20 million. Joel Cohen was born in New York in August 1963. Not to be confused with Joel Coen, one of the Coen brothers, Joel Cohen has written for several films including Hot Money in 1983, Sister, Sister in 1987, Pass the Ammo in 1988, Monster Mash: The Movie in 1995, Toy Story in 1995, Money Talks in 1997, Goodbye Lover in 1998, Cheaper by the Dozen in 2003, Garfield in 2004, Garfield 2 in 2006, Evan Almighty in 2007, and Daddy Day Camp in 2007. 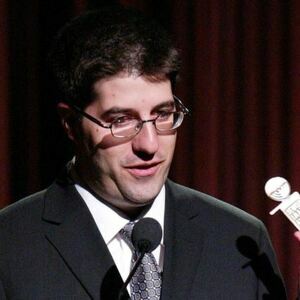 Joel Cohen also wrote for the video games Freaky Flyers in 2003 and Skylanders: Spyro's Adventure in 2011 and for the TV series The Howard Stern Show in 1987. Cohen appeared in the movies Strange Invaders, Silver City, and Eight Days a Week. He directed the film Monster Mash: The Movie and executive produced the film Gnomes & Trolls: The Secret Chamber. In 1996 he was nominated for an Academy Award for Best Writing, Screenplay Written Directly for the Screen for Toy Story.